BRYAN EATON/Staff photo. 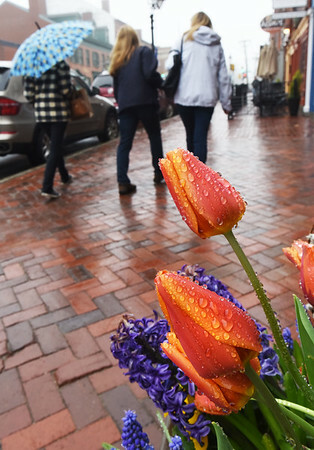 Raindrops cling to tulips as April showers bring May flowers even in window boxes on State Street in Newburyport. Rain should break for the end of the week as the weather warms, though a shower is still possible.